Peter Thomas Roth Water Drench Cloud Cream | This moisturizer has saved my skin! I will say this ish is expensive, but so worth it. I have really dry skin in the winter so this moisturizer is key to my skin's success. It's super light and can be worn under makeup. I usually apply it after cleansing each night. For sure a big splurge, but it has lasted me quite some time. If you are looking for a high end skincare moisturizer to try, I highly suggest this one! Born this Way Two Faced Foundation | I've re-purchased this foundation I think 3-4 times. It is my new go-to! The wearing power is very good, lasts me through the entire day! Plus it is pretty full coverage, which is important to me. The price isn't too outrageous but it is for sure more than your drug store foundation. But, I believe investing in good foundation helps keep your skin clear. Caviar Stick Eye Shadow Laura Mercier | I mourned the loss of my Benefit cream eyeshadows, they stopped making them, so I had to find a replacement for a cream eyeshadow base. This Laura Mercier eyeshadow stick has done that! I apply this under all of my eye looks. It works as a good base, or is pretty on its own. Rose gold is the shade that I use. Two Faced Just Peachy Velvet Matte Eyeshadow Palette | One of my most used eyeshadow palettes of the year by far is my Two Faced peach matte palette. Number one is smells like peaches, which is amazing. Second, it creates such unique looks! Whenever I wear these shadows I always get a compliment on my makeup. They apply very well with little fall out, and have great pink and brown options included. 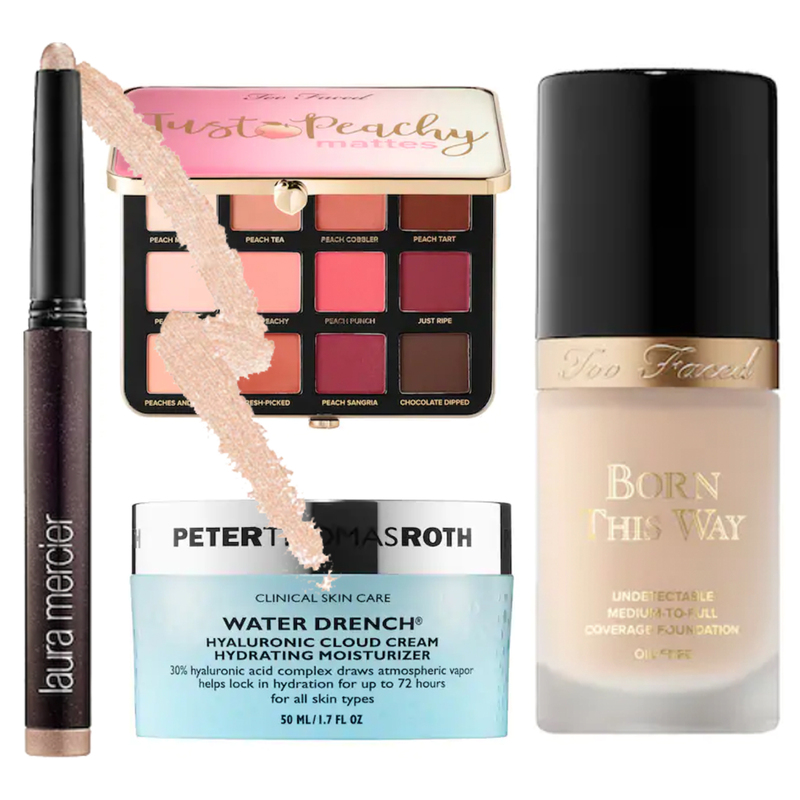 What are your favorite beauty products of the year? Let me know in the comments!